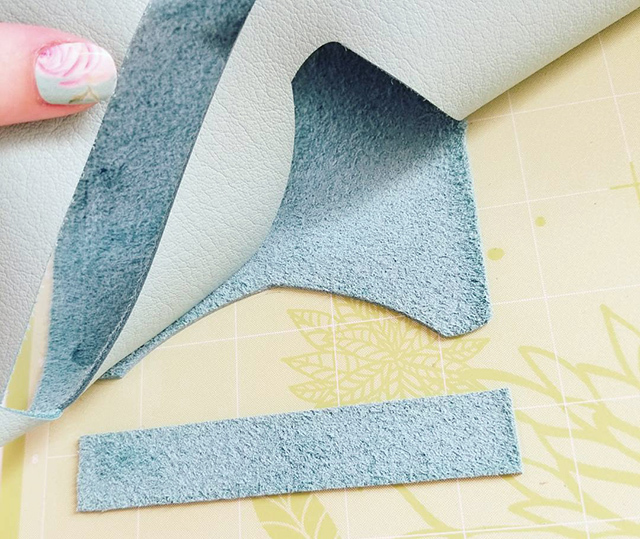 Thinner leathers can be cut with the rotary blade, while thicker leathers will need the knife blade. I bought this aqua colored leather from Michaels. They had a few different colors in a few different thicknesses. Stick the smoother side of the leather down to a green mat. In this project, you don’t need to mirror any of the pieces since they are symmetrical. Click “Make It” on the project, choose your machine from the drop down menu, and select the material. I used the leather setting (1.4 mm) and it worked great. Next you’ll need a leather tool kit. I bought this inexpensive one from Amazon and it had everything I needed, plus more. It has several punch tools, needles, waxed thread, clippers, and a pounce wheel. 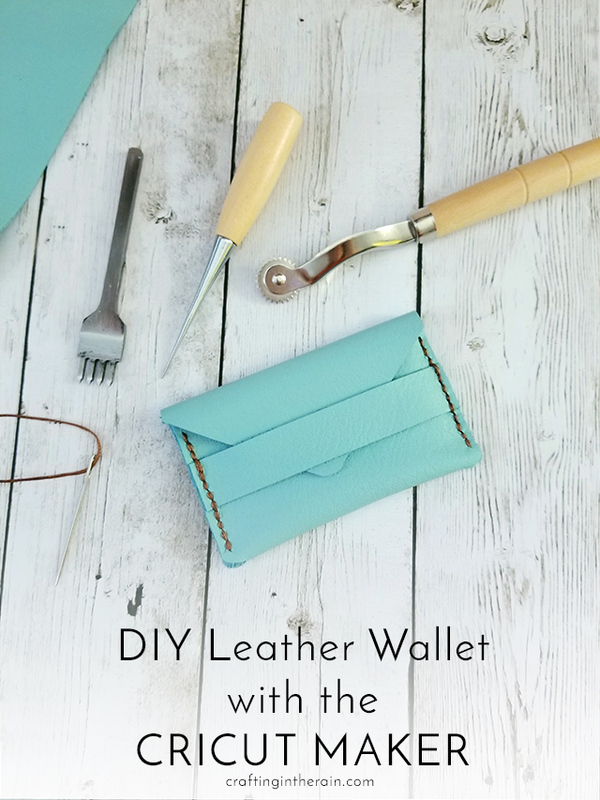 Fold up the wallet and hold into place with binder clips while you use a small hammer and the punching tool to create stitching holes in the leather. Add holes to the ends of the small strip as well. Make sure to place a self-healing mat or cutting board to protect your table! 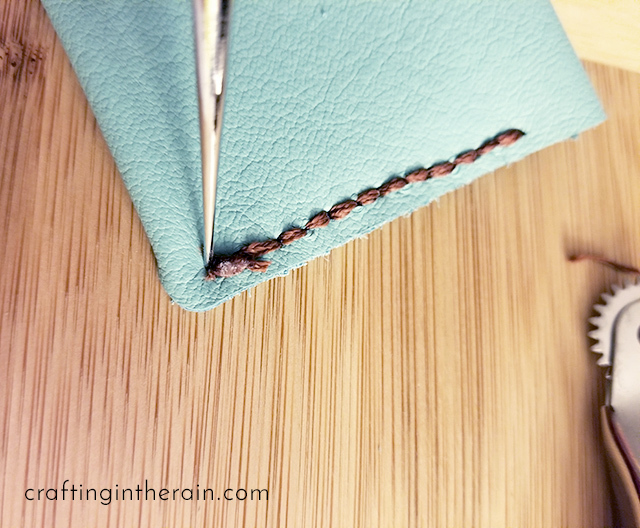 Use a needle and waxed thread to stitch up and down along the holes, coming back when you reach the end so that there’s a complete line of stitching. Don’t forget to layer the strip so it gets sewn in as well. Tie off the ends and put a bit of strong glue on the knot. When it has dried, trim the ends and work the knot down into the stitched holes. When I was all done, I rolled the pounce wheel over the stitching a few times. This didn’t seem to really make a difference, but I wonder if it is because I was using softer leather. I’ll try it again in thicker leather to see if it makes the stitches look even better. I was super impressed with how well the Cricut Maker cut leather with the rotary wheel. 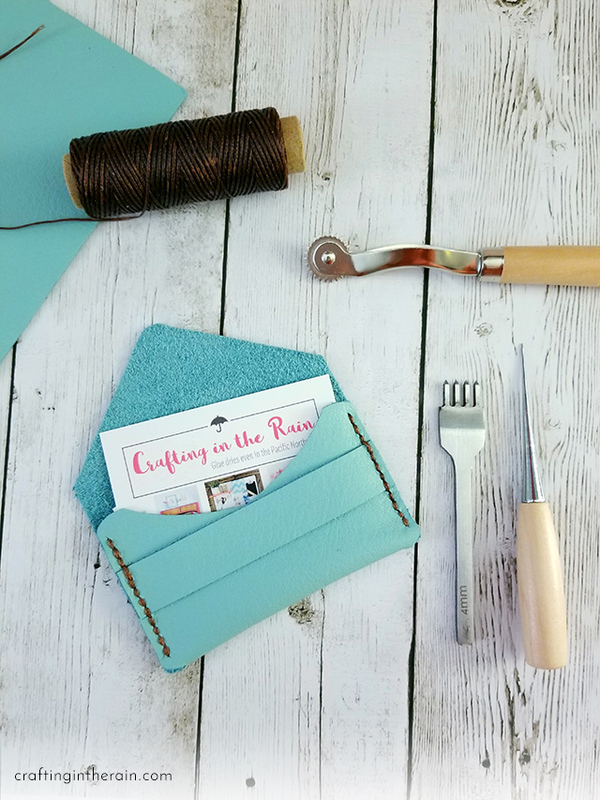 And it was so fun to learn how to use my leather tool kit. 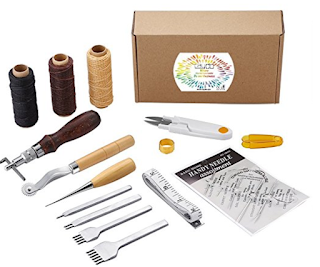 Want to check out the other 49 FREE projects included with your Cricut Maker?! Click An InLinkz Link-up to see how some of my blog buddies created these projects with their Maker! Click here to see the whole list of cut material settings for the Cricut Maker – over 240!